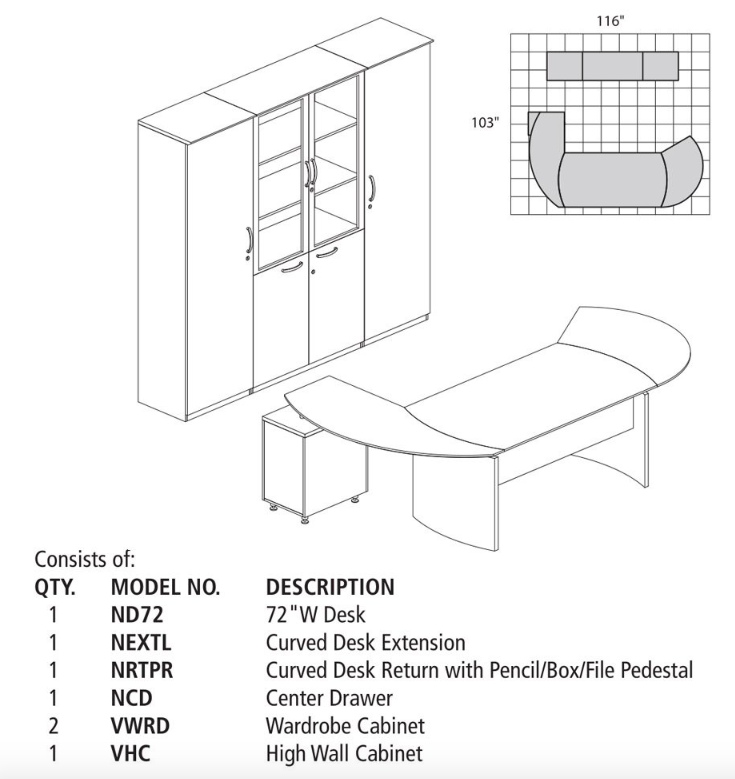 This top of the line executive office furniture set includes everything needed to craft a truly elite workspace. The Mayline model NT11 Napoli executive workstation is available in a choice of 2 veneer finish options. This Mayline desk set can be enhanced with a wide variety of complimenting components from the Napoli collection.